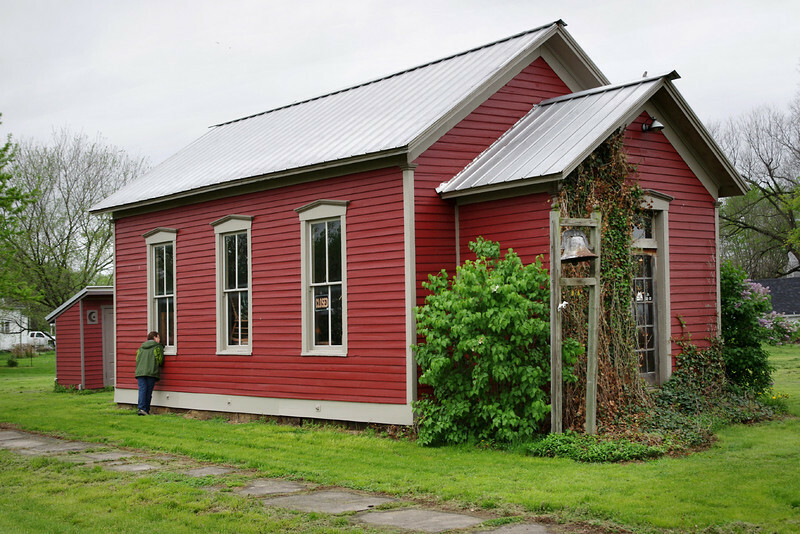 With a few rainy days of freedom, we travel north to historic Missouri River towns, and visit some museums at MU in Columbia, and an old car museum in Fulton. 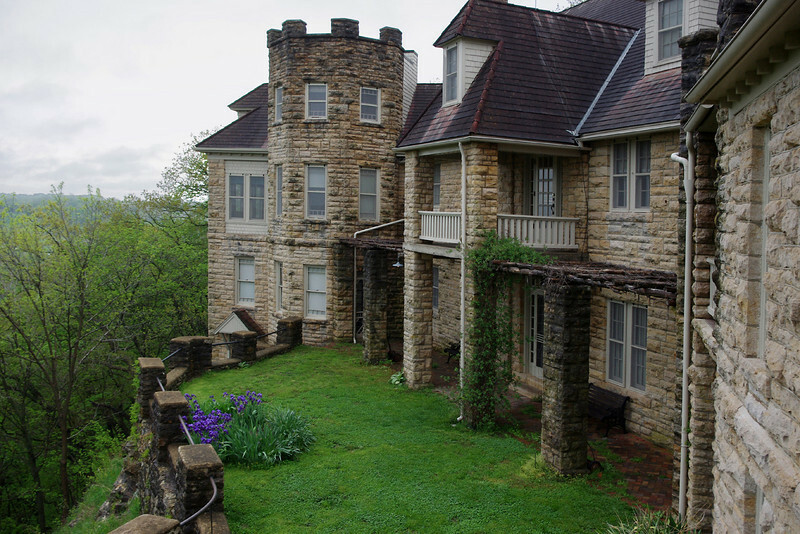 Our first stop was at Bothwell Lodge near Sedalia, Missouri. 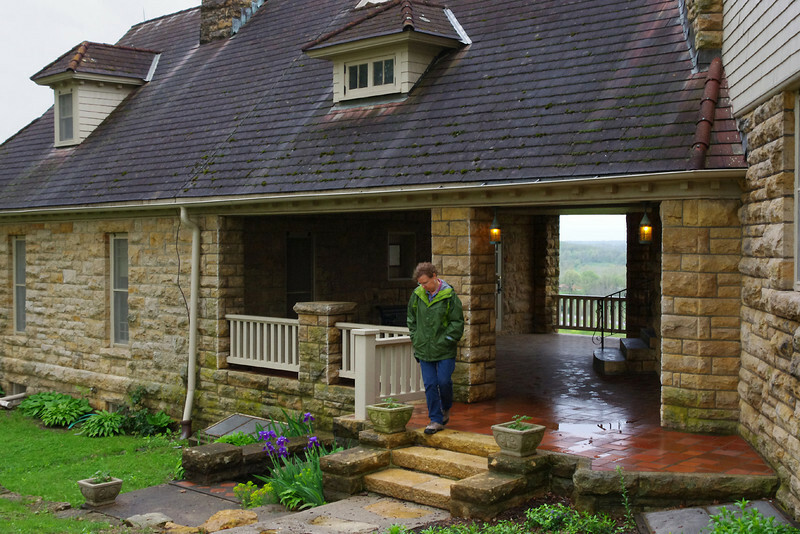 Bothwell Lodge, near Sedalia, Missouri looked promising, but we were reluctant to wait for the next scheduled tour - which is the only way to get inside. 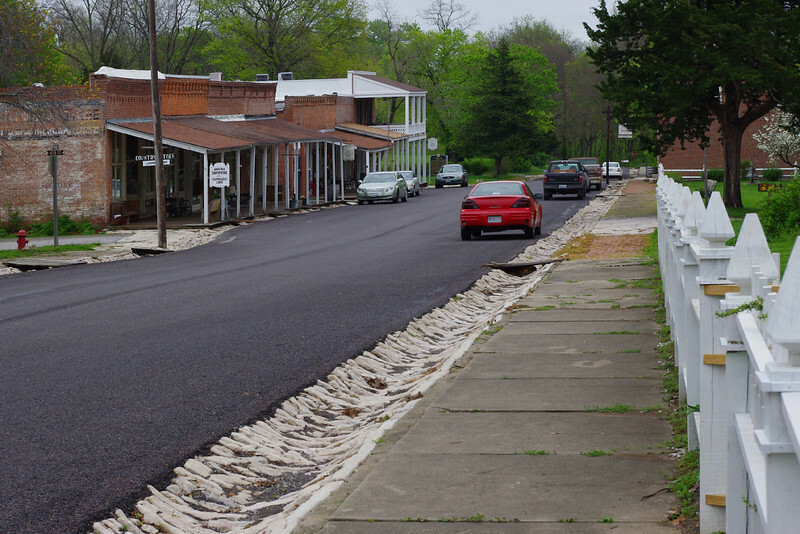 Blackwater, Missouri. 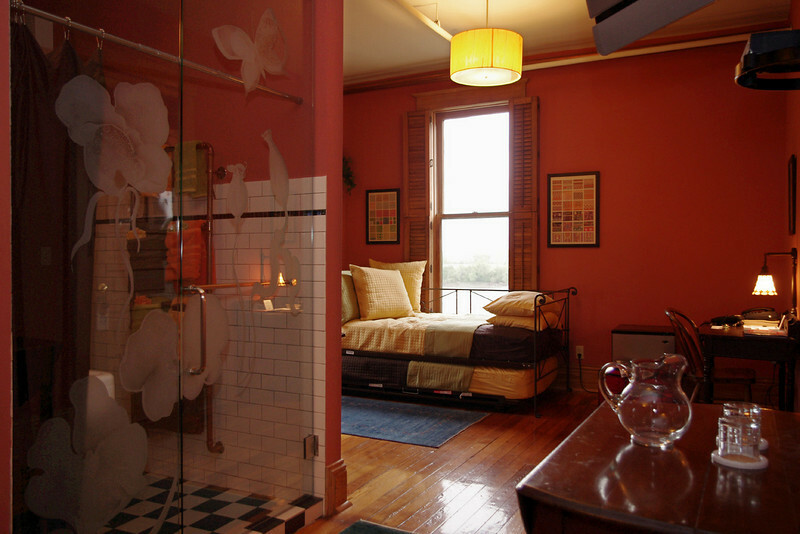 I have to give the inhabitants of this little burg a big A for effort for keeping things up and running, and looking good. Wind pump and old bank, Blackwater, Missouri. 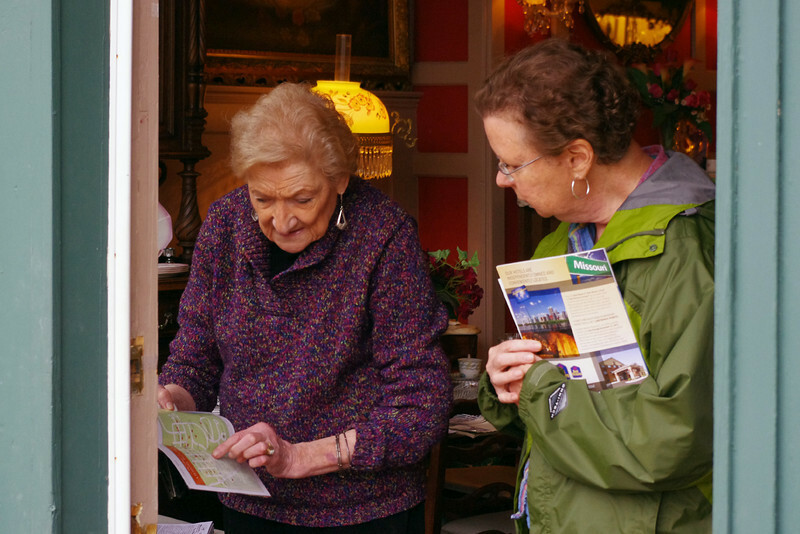 An inhabitant of Blackwater, Missouri, advising Rita about local attractions. 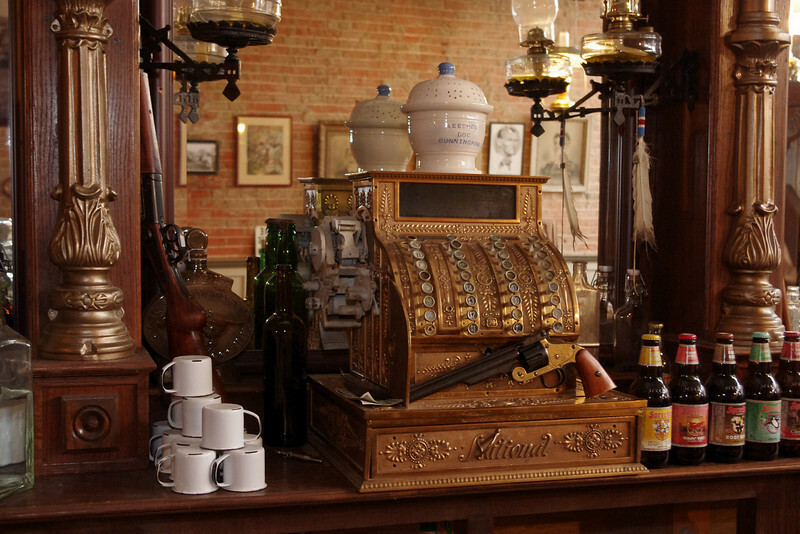 Part-time shopkeeper, part-time musician. 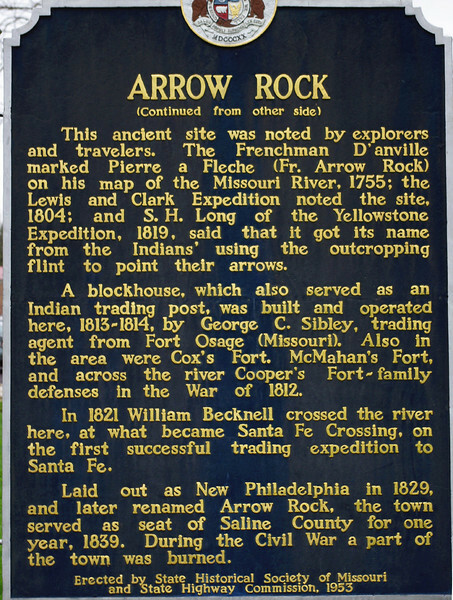 Blackwater, Missouri. 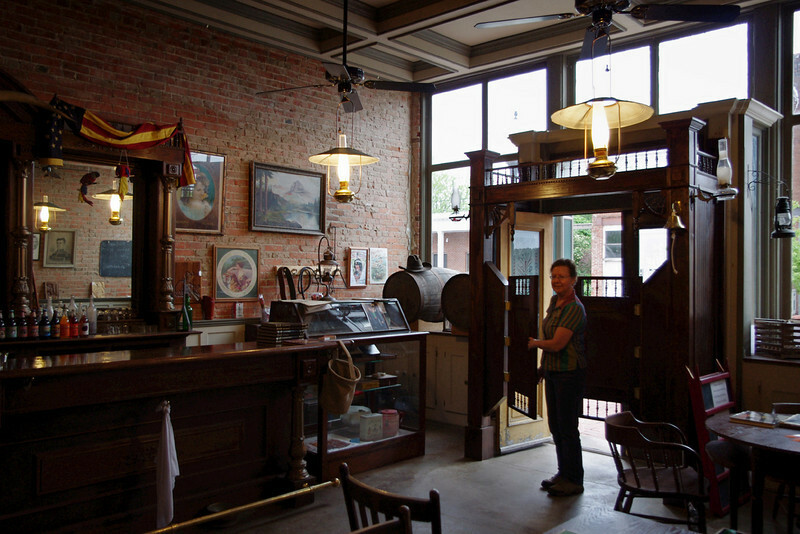 Rita swings open the squeaky doors to the Bucksnort Saloon, Blackwater, Missouri. 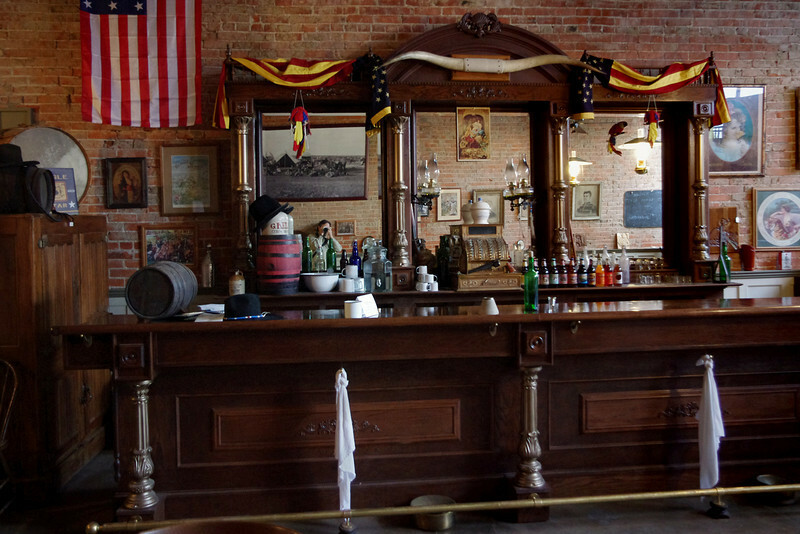 Bar, Bucksnort Saloon, Blackwater, Missouri. 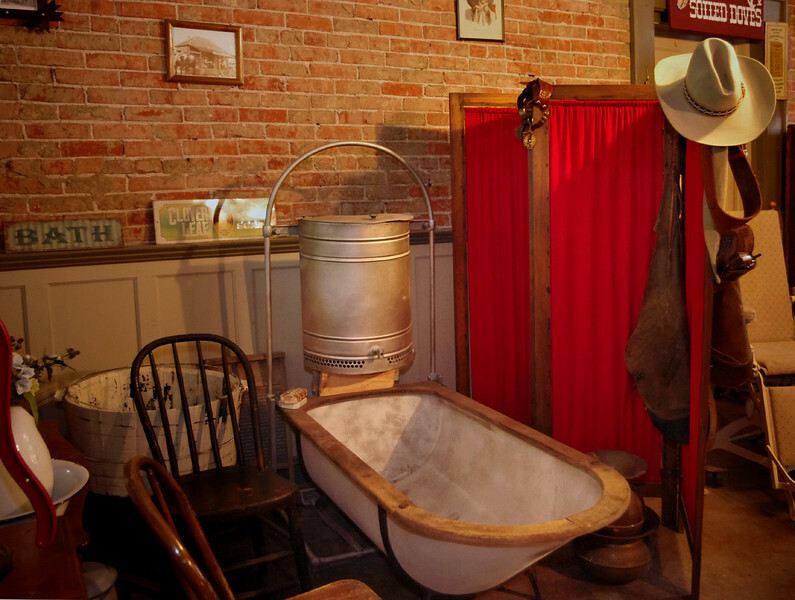 Bathtub, Bucksnort Saloon, Blackwater, Missouri. 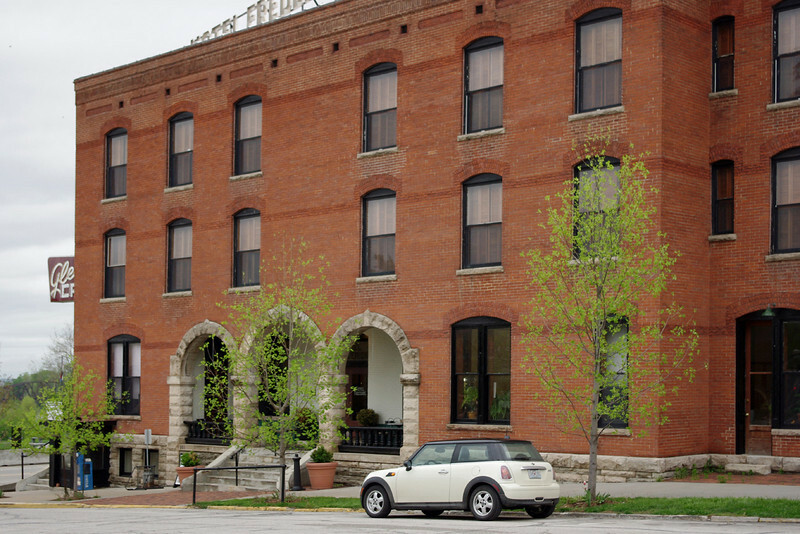 Hotel Frederick, exterior, Boonville, Missouri. 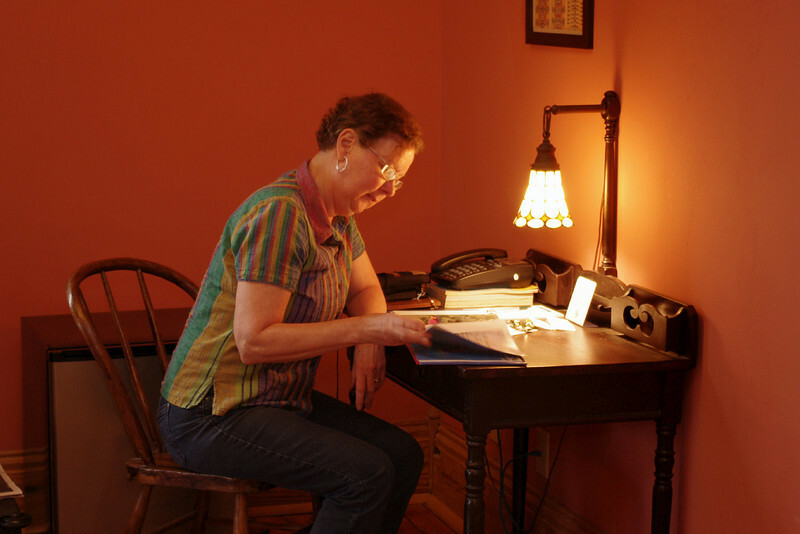 Hotel Frederick, desk, Boonville, Missouri. 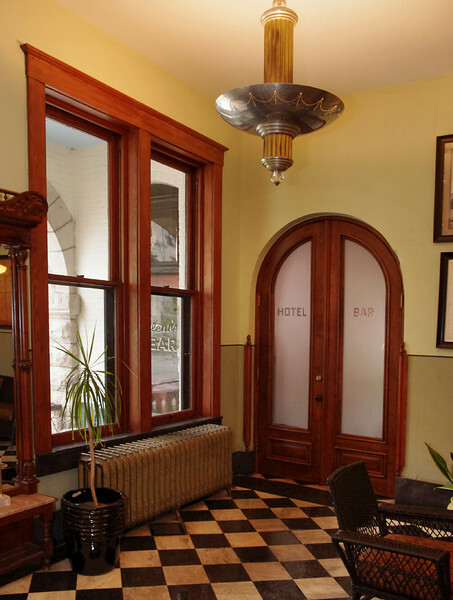 Hotel Frederick, lobby, Boonville, Missouri. 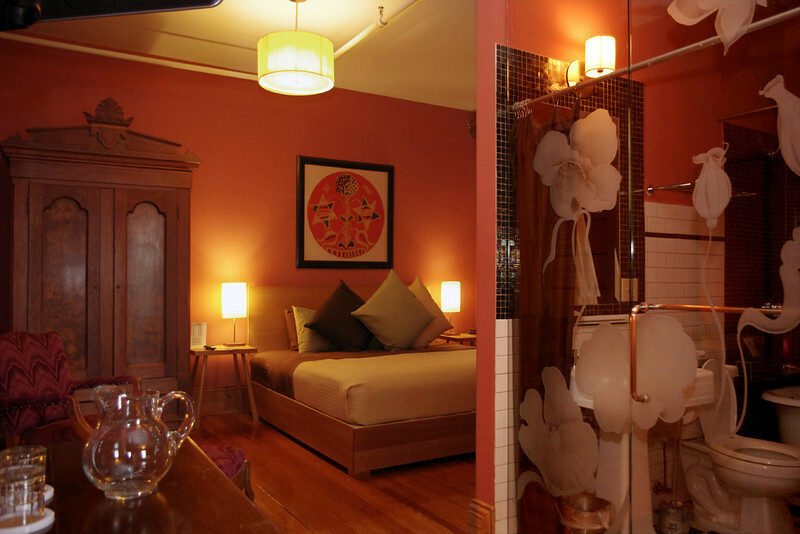 Rita in Room #1, Hotel Frederick. 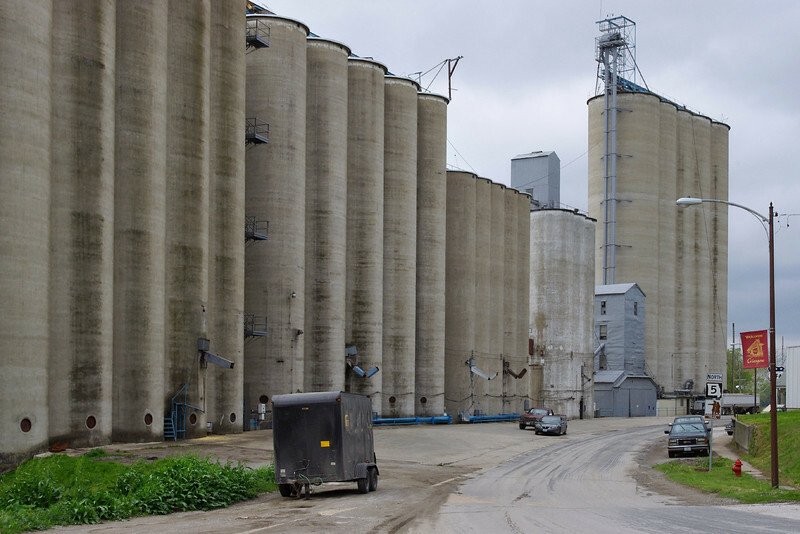 Boonville, Missouri. 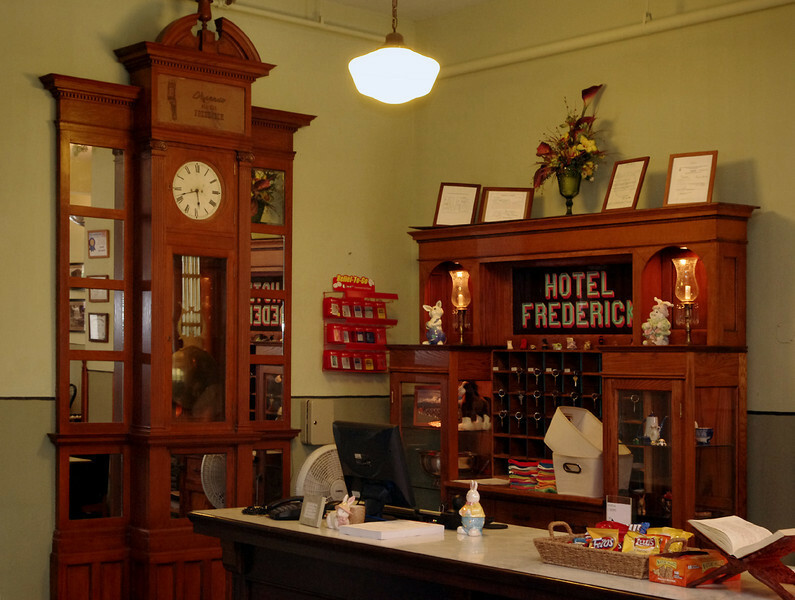 Hotel Frederick, room #1. 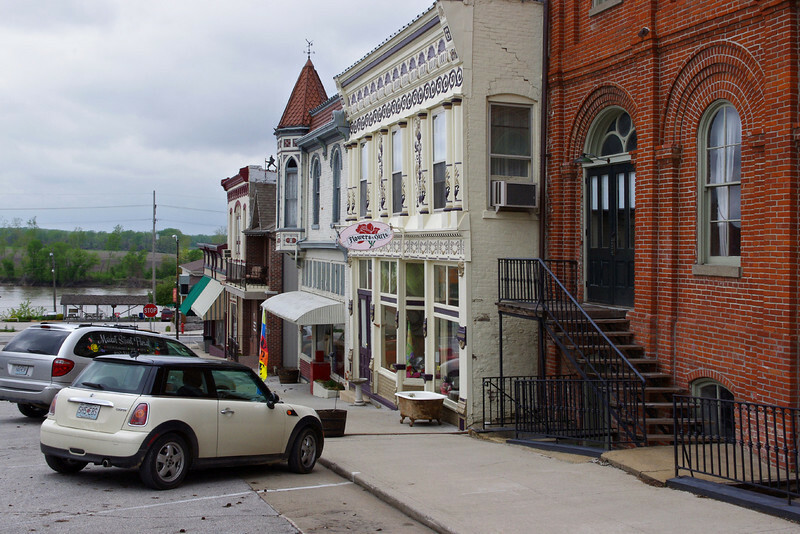 Boonville, Missouri. 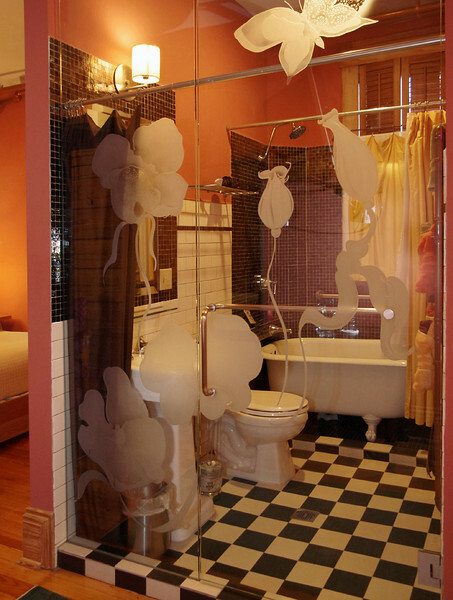 Hotel Frederick, room #1, bath. 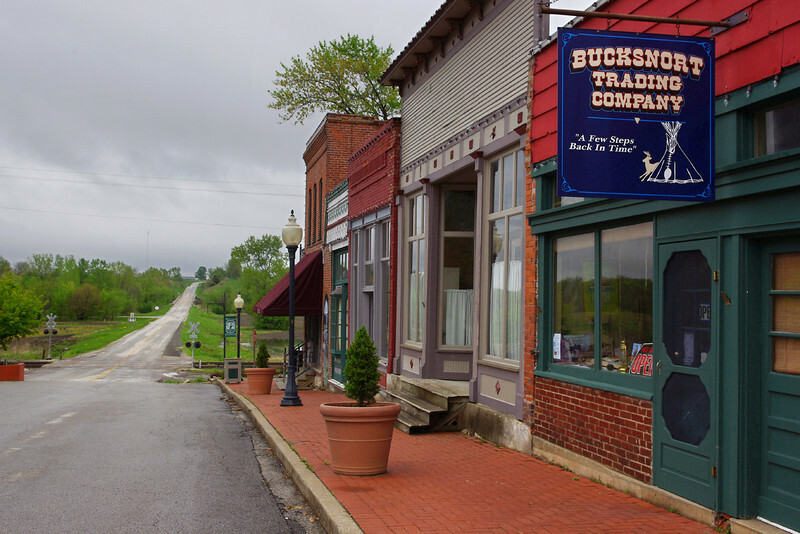 Boonville, Missouri. 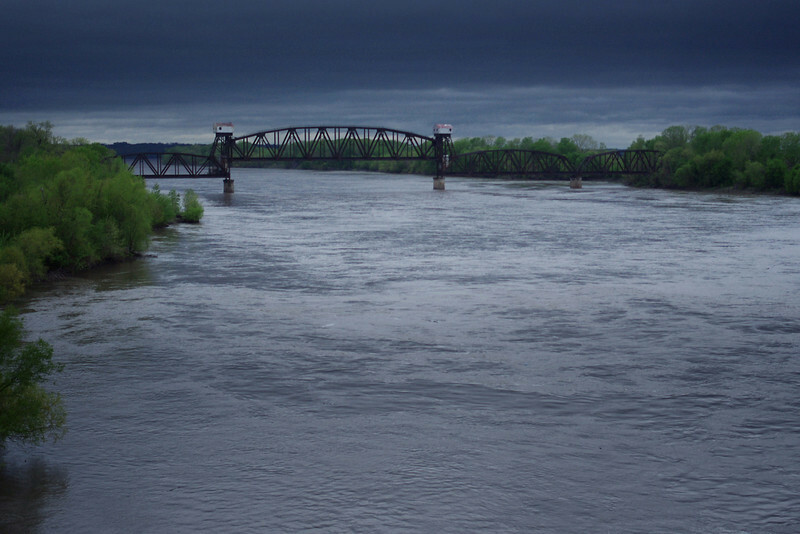 Rainy day view of the Missouri River from the Highway 40 bridge, Boonville, Missouri. 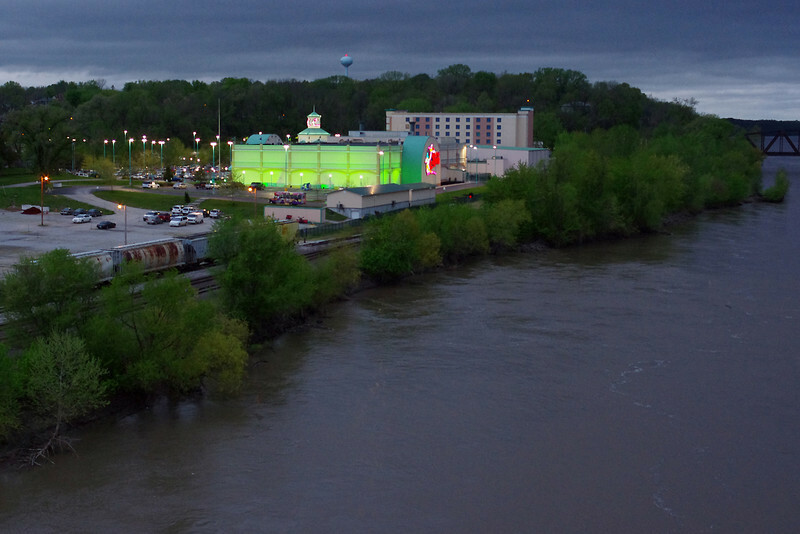 Isle of Capri casino as seen from the Hwy 40 bridge over the Missouri at Boonville, Mo. 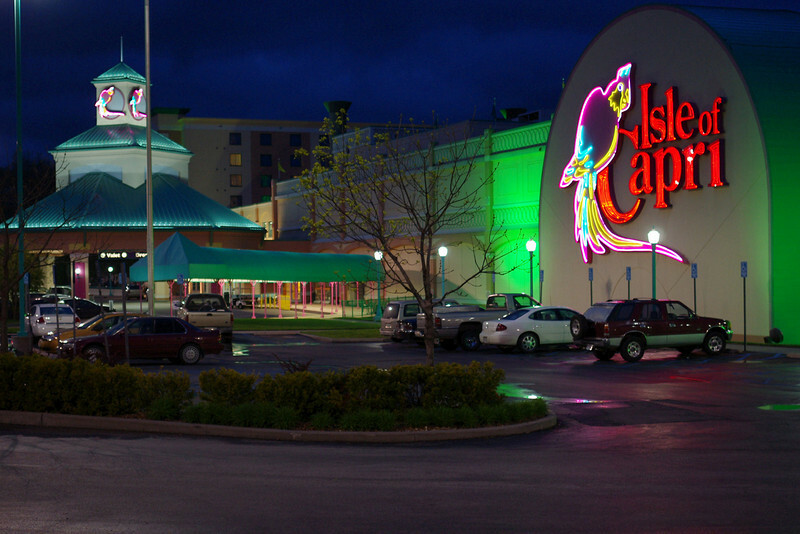 Isle of Capri casino on the Missouri River at Boonville, Mo. 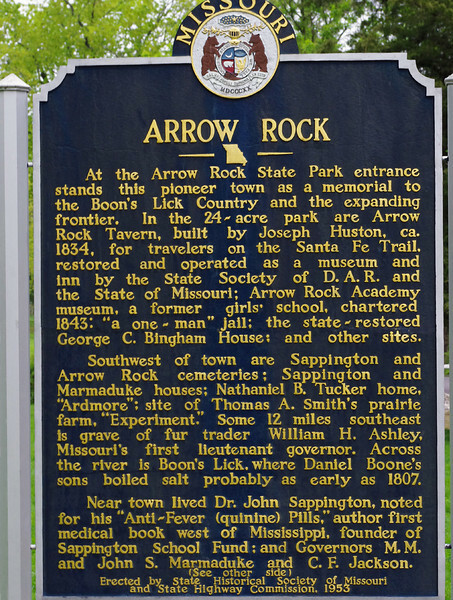 Arrow Rock Missouri is a National Historic Landmark, but also a (very) small, (just barely) living community. 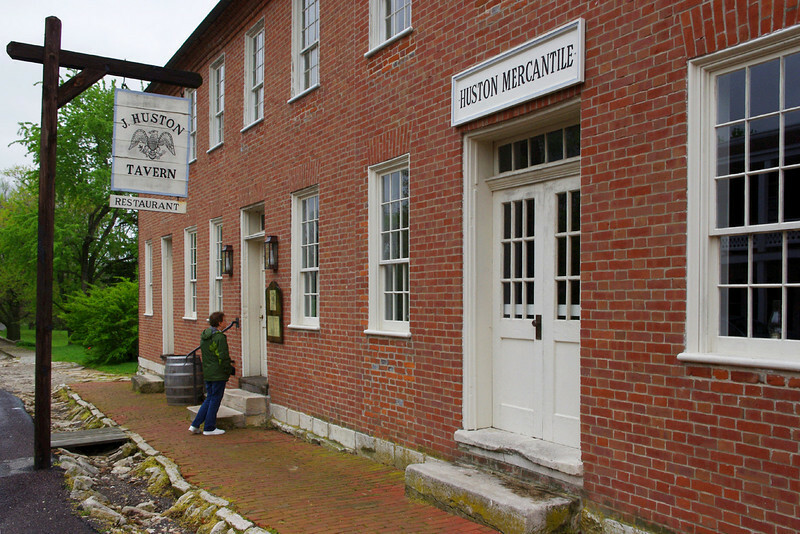 Historic Huston Tavern, Arrow Rock, Missouri. 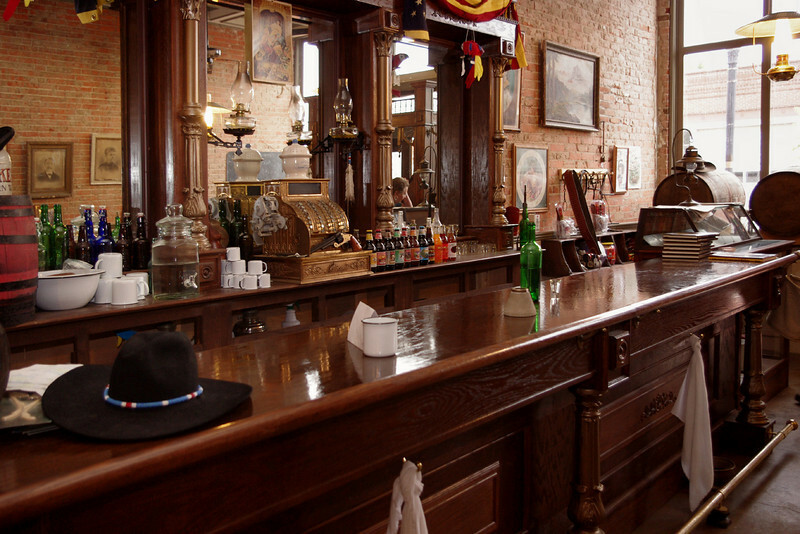 Sadly, like many of the attractions in this area, not open on our weekday visit. 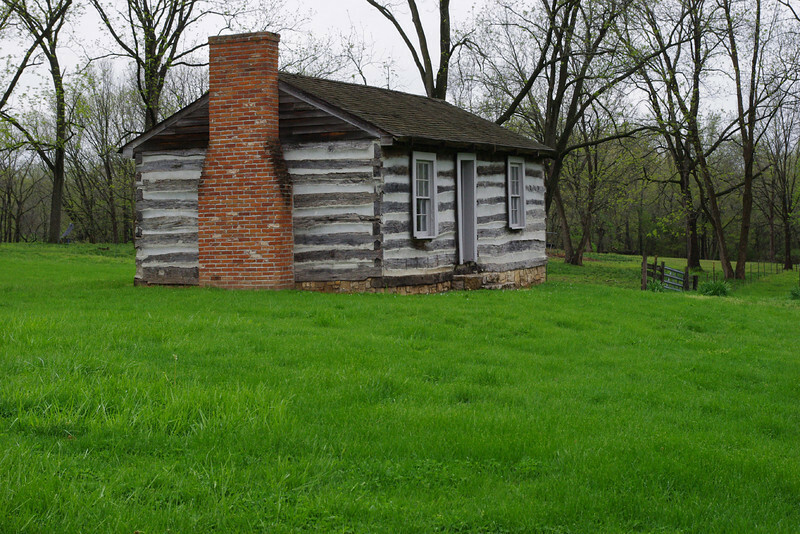 Log cabin, Arrow Rock, Missouri. 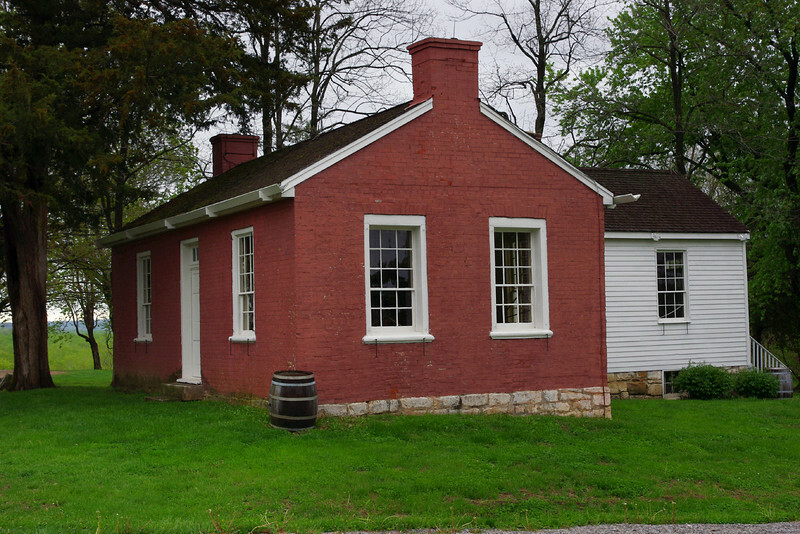 Artist George Caleb Bingham built his Federal-style brick house in Arrow Rock, Missouri, on the lot he purchased in 1837 from future governor Claiborne Fox Jackson. 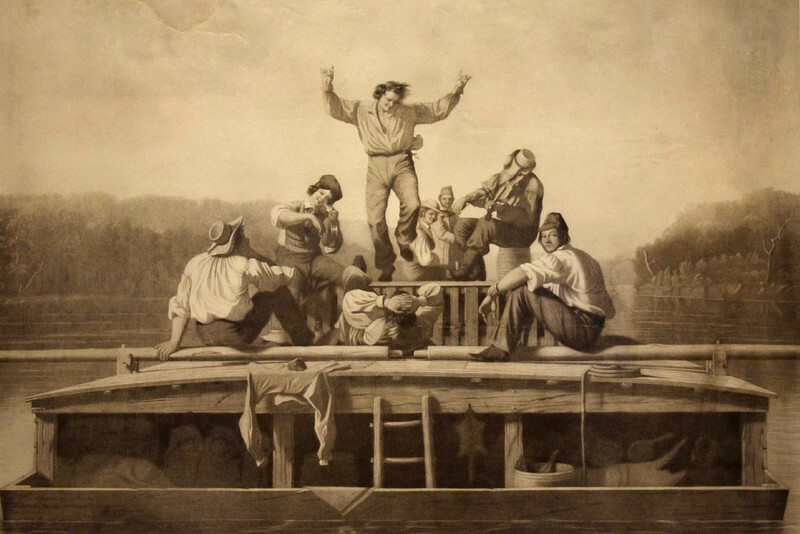 George Caleb Bingham's gray scale lithograph "The Jolly Flatboatmen" - on display at the Arrow Rock State Historic Site Visitors Center. 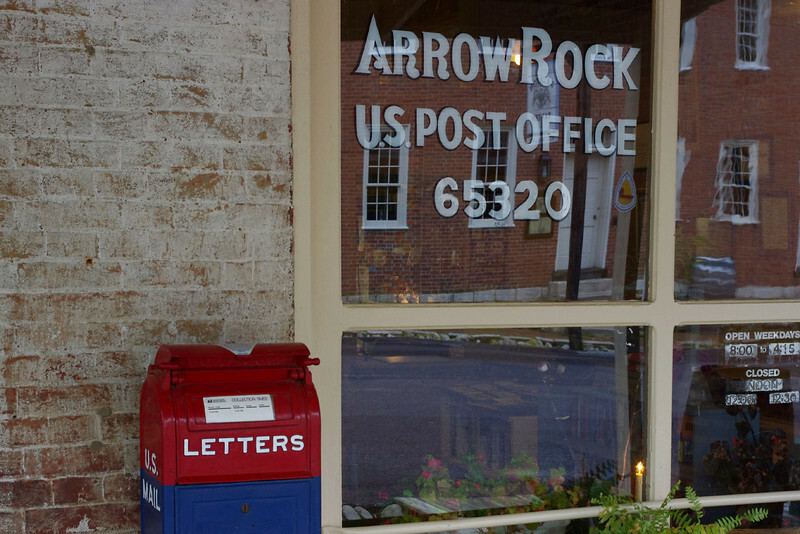 Post Office detail, Arrow Rock, Missouri. 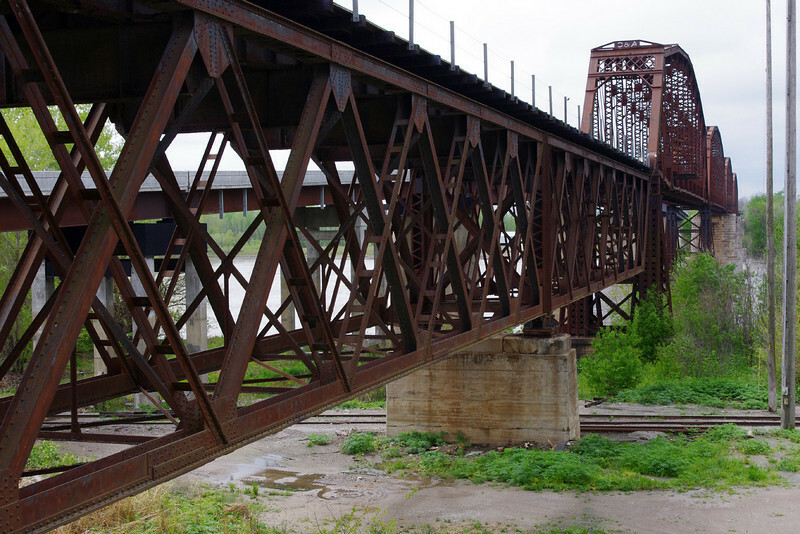 This railroad bridge over the Missouri River at Glasgow, Missouri was built in 1900. It replaces the oldest all-steel bridge in the world, built at the same site in 1879-79, now lost forever. 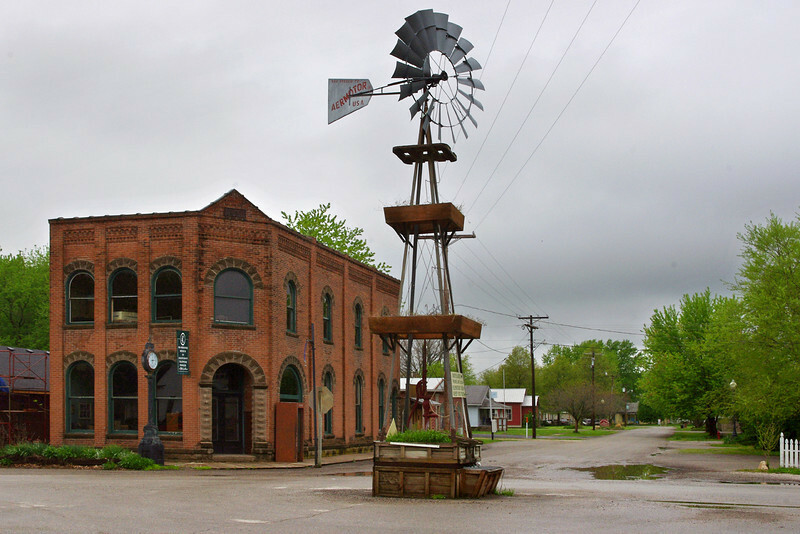 Shops, Glasgow, Missouri, on the Missouri River. 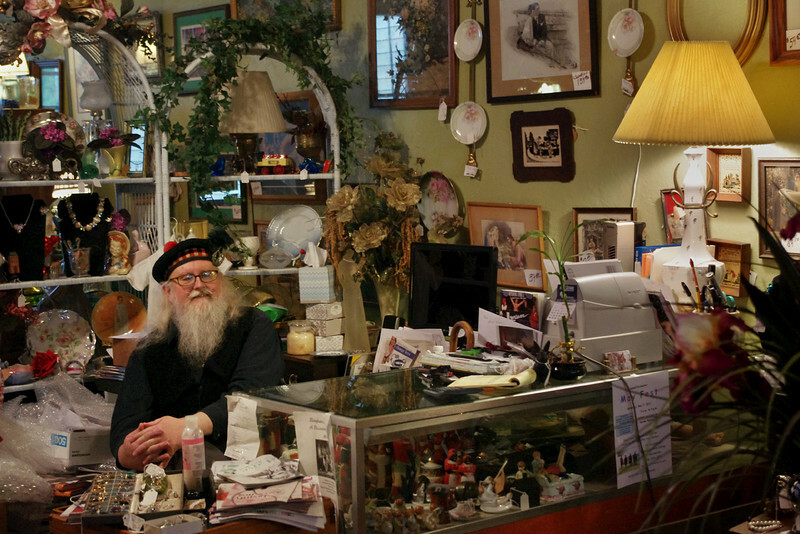 Rita in a Glasgow (Missouri) shop. 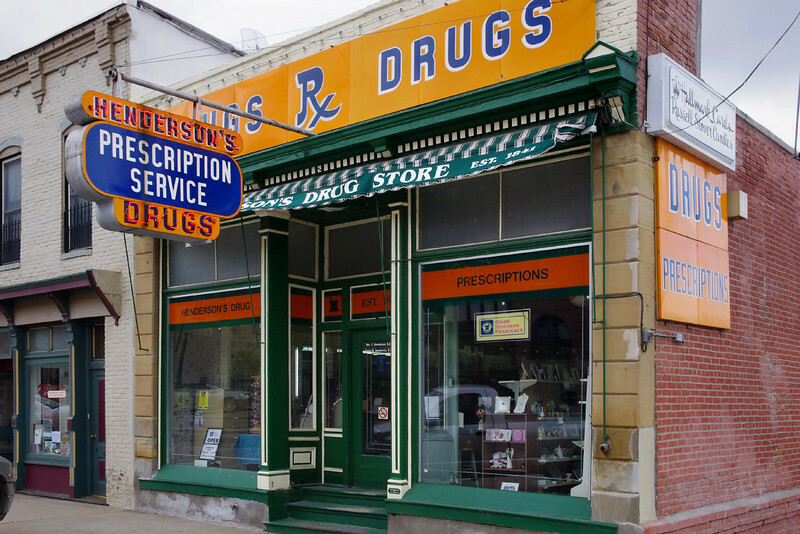 Henderson's drug store, Glasgow, Missouri. 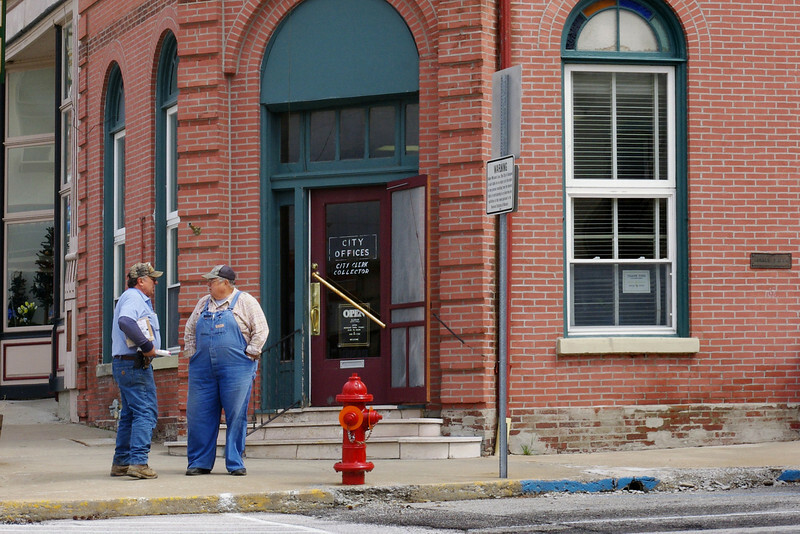 Locals chat in front of the Glasgow (Missouri) "Bank" building. 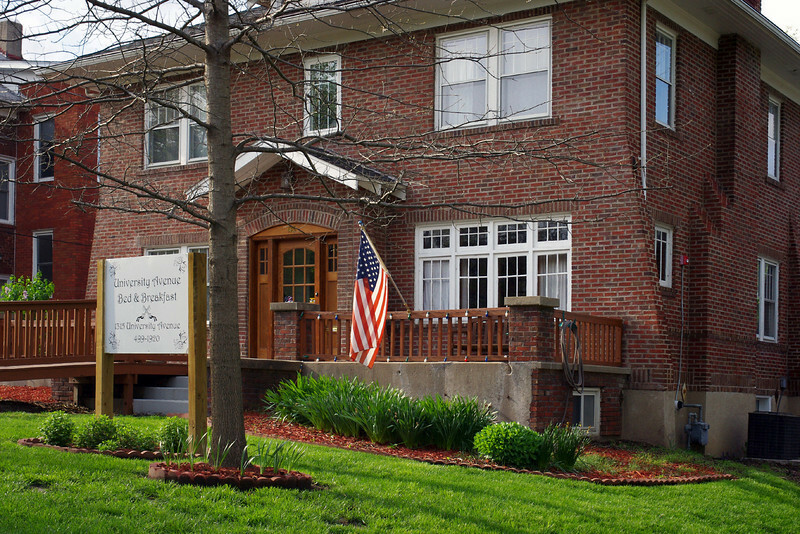 The University Avenue Bed & Breakfast is located within easy walking distance of the University of Missouri, Columbia. 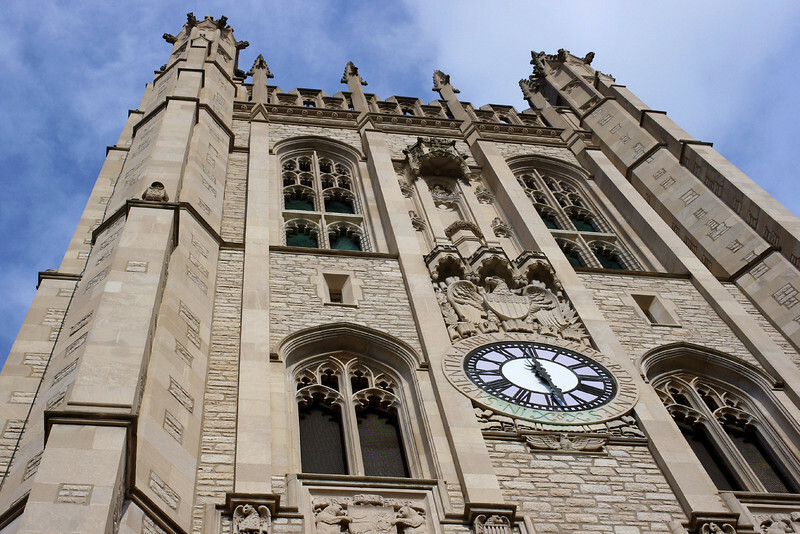 Memorial Tower, University Of Missouri, Columbia. The University of Missouri was founded in 1839 and Academic Hall was the first building on campus. 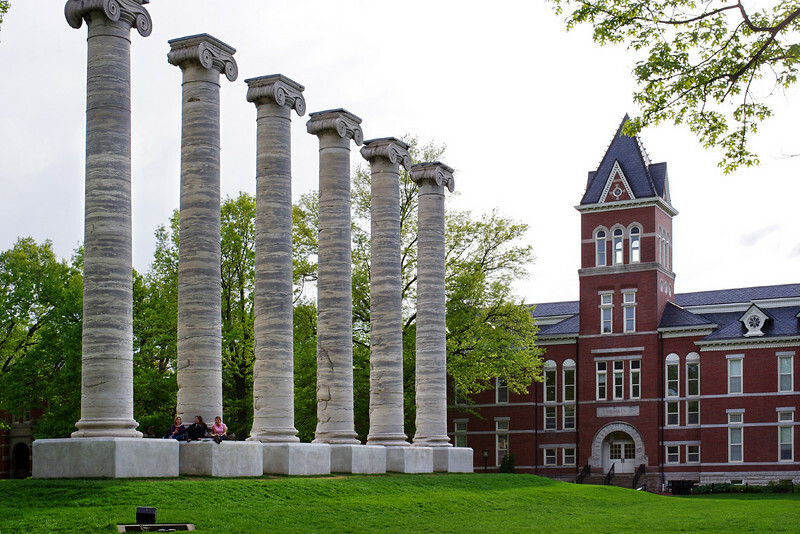 In 1892 Academic Hall was destroyed by fire; these columns were all that remained. 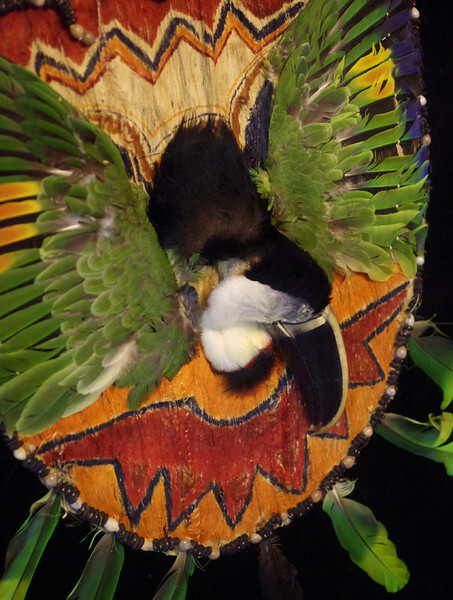 Ecuadorian breastplate from the 20th century made of bark cloth, toucan, parrot feathers and seeds. Museum of Anthropology in Swallow Hall, University of Missouri, Columbia. 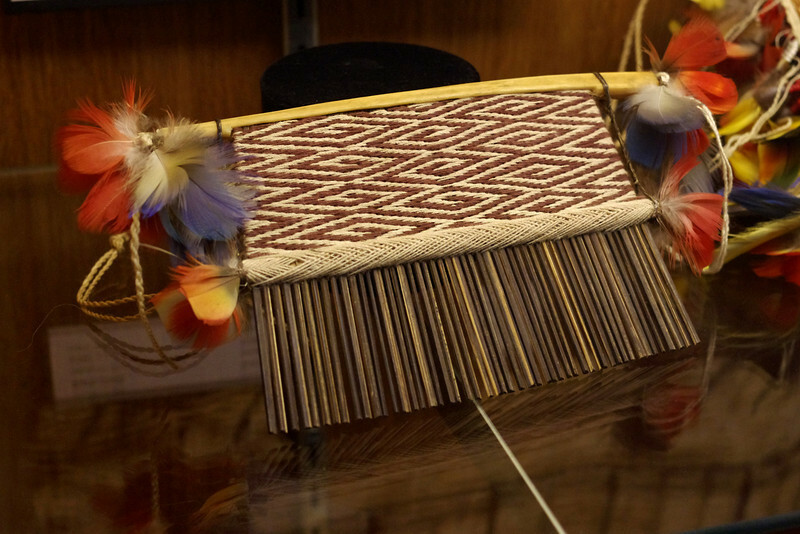 Comb, Museum of Anthropology, Swallow Hall, University of Missouri, Columbia. 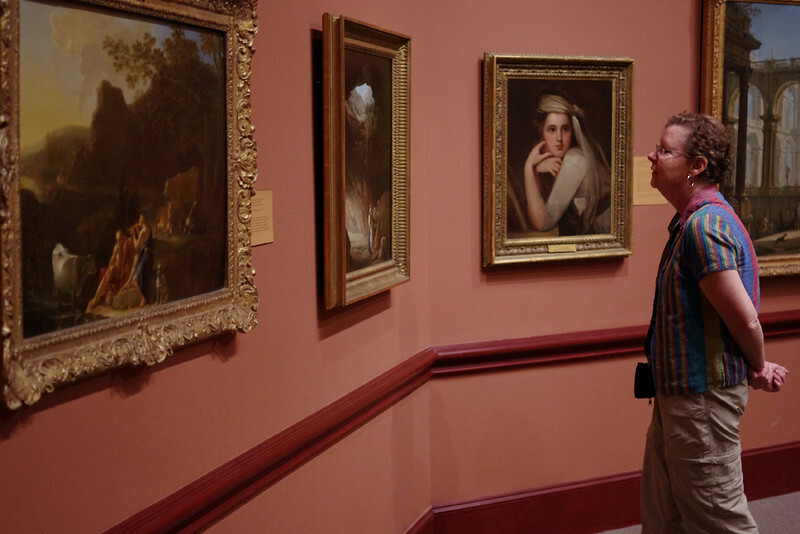 Rita looking at the paintings in the Museum of Art and Archaeology, Pickard Hall, University of Missouri, Columbia. 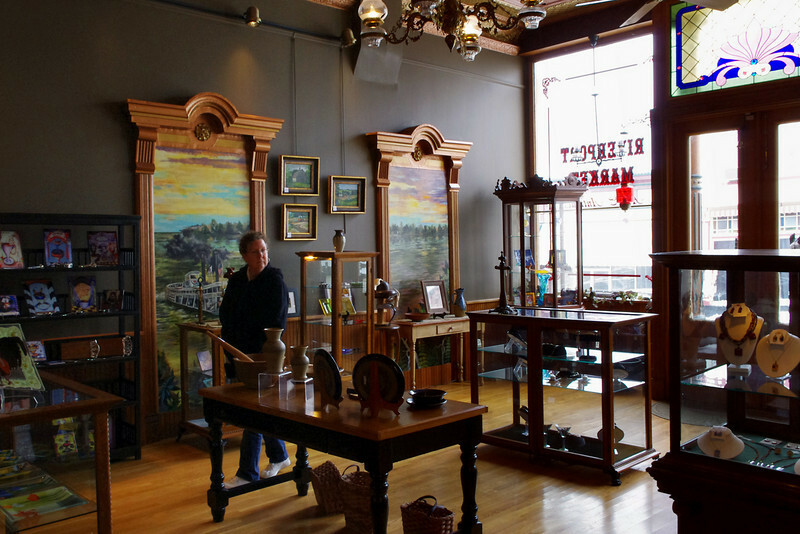 It was really the Binghams we had come here to see, but that gallery was under reconstruction. Oddly, some had been loaned out, and by coincidence we had seen them in Arrow Rock. 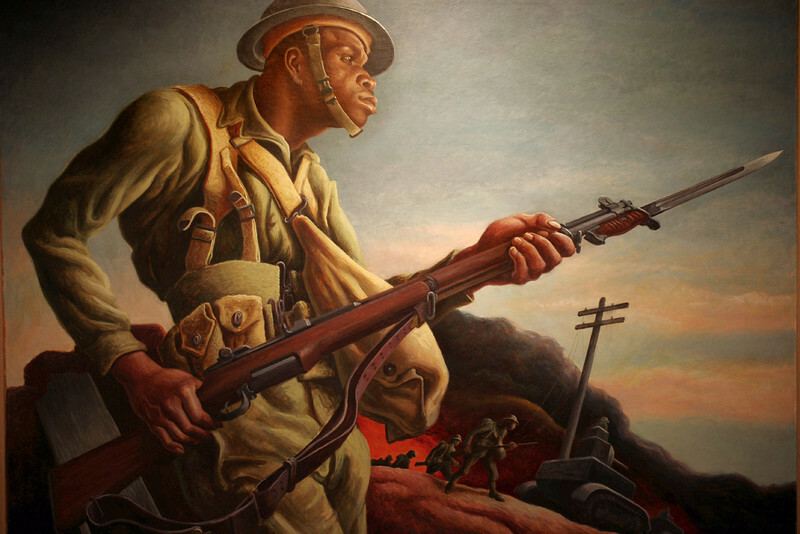 Here is "1944" by that other Missouri painter, Thomas Hart Benton. Museum of Art and Archaeology, Pickard Hall, University of Missouri, Columbia. 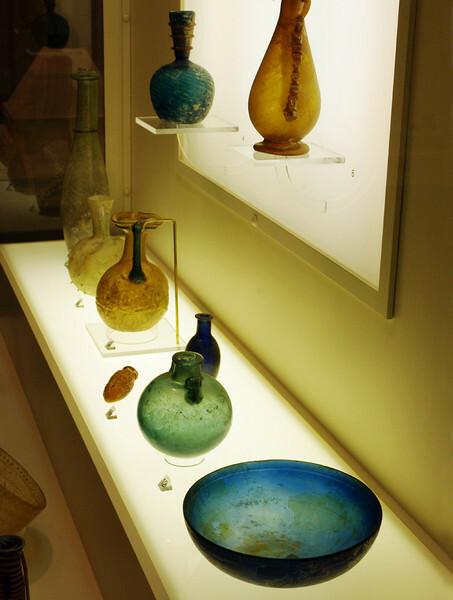 Ancient glass exhibit, Museum of Art and Archaeology, Pickard Hall, University of Missouri, Columbia. 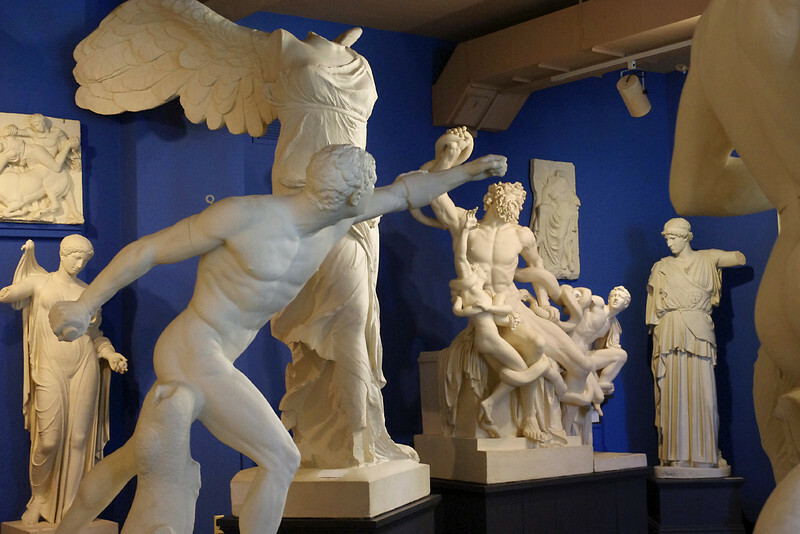 The Cast Gallery, Museum of Art and Archaeology, Pickard Hall, University of Missouri, Columbia. 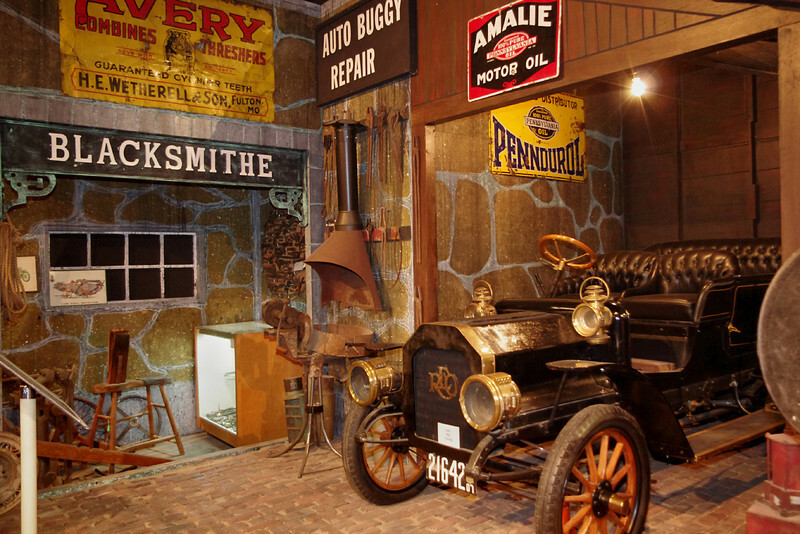 Auto World Museum, Fulton, Missouri. I'm still trying to get the hang of this new flash, but if you've seen any of my previous efforts at flash photography, then I apologize. 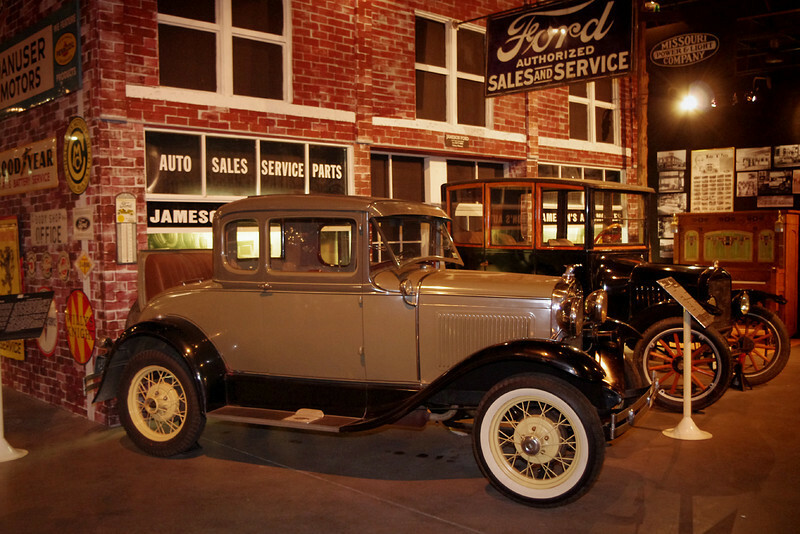 Auto World Museum, Fulton, Missouri.